The presidential candidate for Zimbabwe’s main opposition accused the ruling ZANU-PF of trying to steal the general election on Wednesday after official figures gave President Emmerson Mnangagwa’s party a majority in parliament. Nelson Chamisa, 40, and the 75-year-old Mnangagwa were the main contenders in Monday’s vote, the first since Robert Mugabe was forced to resign after a de facto coup in November after nearly 40 years in power. 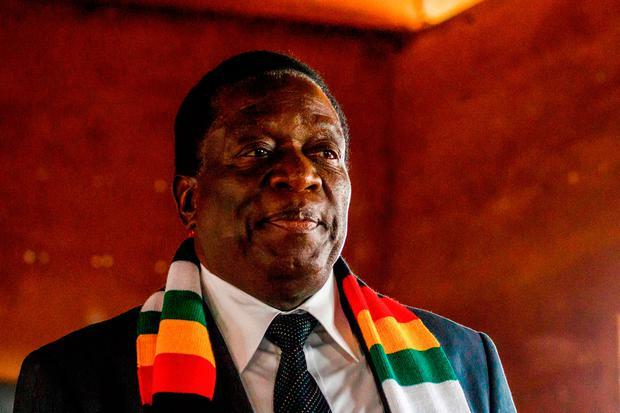 The Zimbabwe Electoral Commission’s results showed Mnangagwa’s ZANU-PF cruising to a big majority after picking up 109 seats against 41 for the opposition Movement for Democratic Change (MDC). Another 58 seats are yet to be declared. Results of the presidential poll are expected by Saturday. On his official Twitter feed, Chamisa accused the Zimbabwe Electoral Commission of releasing the parliamentary results first to prepare Zimbabweans for a Mnangagwa victory. “The strategy is meant to prepare Zimbabwe mentally to accept fake presidential results. We’ve more votes than ED (Emmerson Dambudzo). We won the popular vote (and) will defend it,” Chamisa said. Today, foreign observers, including the European Union, who have been monitoring the elections for the first time since 2002, will issue their verdict on Monday’s vote. Zimbabwe was once one of Africa’s most promising economies but under Mugabe’s rule became tainted by corruption, mismanagement and diplomatic isolation. Its population of 13 million is struggling amid shortages of foreign currency, unemployment above 80 percent and lack of foreign investment. In the capital Harare many people went about their usual daily grind, including queuing up for scarce cash outside banks. The House of Assembly of Parliament has 210 seats and ZANU-PF would need to win 30 more to have a two-thirds majority that would allow it to change the constitution at will. Voters in Zimbabwe traditionally pick a presidential candidate based on their party affiliation and the trend in the parliamentary election was expected to continue when results for the president are announced this week. Chamisa’s MDC won in most urban centers, where it enjoys majority support. One independent candidate and a member from a party linked to Mugabe also won one seat each. On Tuesday Former Movement for Democratic Change (MDC) finance minister Tendai Biti and ZESN, the main domestic election monitor, said one in five polling stations – more than 2,000 in all – had not physically posted tallies on their doors, as required by law. That omission gave room for the ZEC, which ZESN and the opposition have accused of bias, to manipulate the results in favor of Mnangagwa and the ruling ZANU-PF party, Biti said. Even though the election passed off peacefully, several water cannon trucks patrolled outside the central Harare headquarters of the MDC as its red-shirted supporters danced in the streets. EU touts jump in soybean imports from U.S.